A stylish balance of subtle curves and clean lines, the Giada swivel chair masters the art of sophistication. 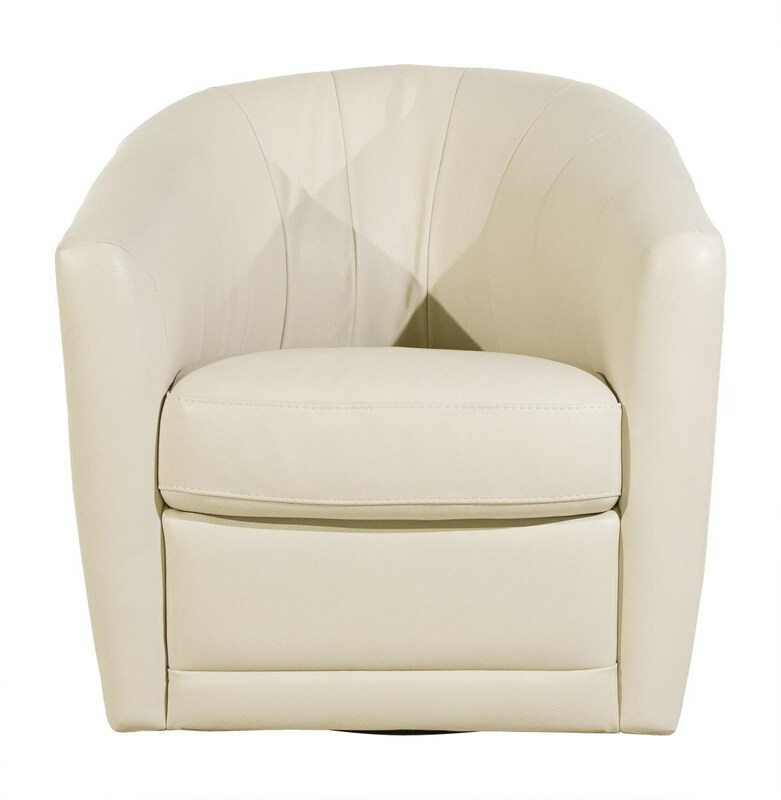 Made with high quality 100% real cowhide leather, the chair has a luxurious look and feel. A swivel base allows you to move with ease, while stitching detail highlights the sculptural quality of the rolled back and sloping arms. Pillow No throw pillows included.